Stella Jean presented her Fall/Winter 2103 collection last Saturday in Rome. The Haitian-Italian designer, who has been much talked about due to her use of African Prints in her first collection, continues to weave bold prints into her designs. Stella Jean titled her new showcase the “cross-cultural experience”. I am a fan of her aesthetic and I feel she always manages to come up with something new: like the mix of textures combined with the use of different prints. My favorite has to be the faux fur vest over the long beige coat – that just looks fantastic. 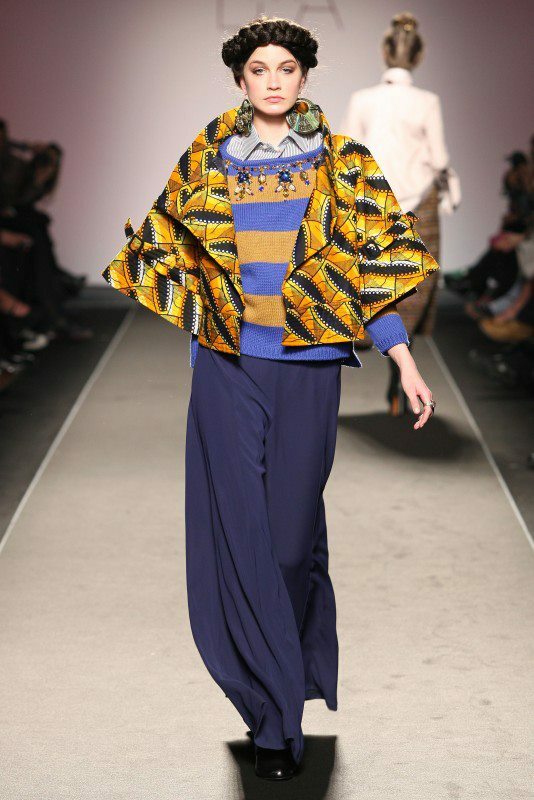 I also like the cape-like coat with the print lining – a very cool and elegant way to showcase prints. What do you think – any favorites?? To find out more about the designer, read her interview here.